Looking to start 2007 living in the lap of luxury? Here are the ten most expensive residential properties currently on the market in the upper Florida Keys. From beachside estates to multiple family compounds, you’re sure to find something you’ll like here. Be sure to bring the sunscreen, as all of these homes are located on the open water and promote outdoor living with features such as pools, boating access and dockage, and white sandy beaches. Follow the link below to view the properties. Call or email our offices to make arrangements to see any of these spectacular homes. ISLAMORADA — Plans are in the works to spruce up Islamorada's only fixture on the National Register of Historic Places. And with any luck, work on the grounds surrounding the 1935 Florida Keys Hurricane Memorial could begin by this summer, said Zully Hemeyer, the village's public works director. A few details of the hurricane monument upgrade are still a moving target, but the basic design is in place. The plans do not call for any changes to the monument proper — even a proposed handicapped access ramp has been nixed by the state's historic review bureau, Hemeyer said. But the patch of yard that separates the back of the monument from the adjacent Matecumbe United Methodist Church property will be transformed into a contemplative area, complete with benches, a historical story board and possibly, two collection pools. A parking area, benches in front of the monument and new landscaping are also in store. The main features of the landscaping changes, said Phyllis Mitchell, a member of the village's Landscape Advisory Committee, will be more native plants and less foliage density. "We are getting the deepest purple bougainvillea that was ever created," she said. Reducing density will improve site lines to the monument itself, said Rod Halenza, chair of the landscape committee. "Our intent is to create a more inviting place so that people won't just stand at a distance and look at it, so people will walk up and realize what it is, that it actually is a tomb for a goodly number of people," Halenza said. 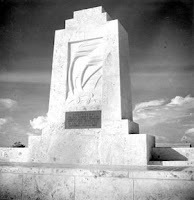 The hurricane monument, located between the Overseas Highway and the Old Highway near mile marker 82, was constructed out of coral rock in 1937. Entombed beneath the memorial are the ashes of more than 300 civilians and veterans who died in the Labor Day storm of two years earlier. Among them are numerous members of Islamorada's prominent founding families: the Russells, Pinders and Parkers, said local historian Irving Eyster. Eyster said the historical story board to be placed in the planned contemplative area will be very simple. Its only text, he said, will be a list of all the people who are known to have perished during the storm. 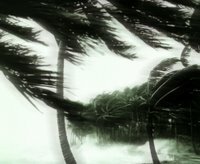 Officially, 423 people were killed by the Labor Day hurricane's estimated 150 to 200 mph winds and massive storm surge of approximately 17 feet. But Eyster says the actual death toll was likely between 500 and 600. Bodies were found as far away as Flamingo and Cape Sable on the Florida mainland. Islamorada has budgeted $88,000 for the monument upgrade, all of it during the present fiscal year. Last June the landscape committee requested $100,000 for the project. The tight budget, Hemeyer said, could mean the collection pools, one of which would feature a small waterfall, might have to be cut from the plan. "Groups have to evaluate the cost of each element and the water features may be a significant expense," she said. Hemeyer said she would like to present final plans to the Village Council by March. Frascona, Joiner, Goodman & Greenstein, P.C. Loan fraud comes in many forms, but one of the most common—valuation loan fraud—occurs when any party to the transaction, including the real estate practitioner, misrepresents information about the transaction to the mortgage lender. In general, lenders make mortgage loans based upon the creditworthiness of the borrower and the value of the home or other property involved. Lenders estimate the value by having the property appraised and by examining the price the buyer is willing to pay for it. The true purchase price is material because appraising isn’t an exact science. Buyers don’t intentionally overpay for a property—unless they’re engaged in mortgage fraud. Slow markets frustrate sellers and increase temptation to turn a blind eye to fraud. And without rapid appreciation, fraud becomes more apparent when loans are analyzed on the secondary market. If fraud happens, how can you protect yourself from unwilling participation? The first step is to educate yourself about some common scenarios. Consider this situation: A buyer has entered into a contract to purchase a property for $200,000, but, after learning about a roof problem, asks for and gets a price concession of $10,000 from the seller. At a $190,000 sales price, the buyer might obtain a 90 percent loan-to-value mortgage for $171,000 and bring approximately $19,000 to close. However, let’s say the buyer has only $10,000 in cash and needs to get a loan of $180,000 to buy the property. The seller proposes a rebate plan to get the deal closed. On the sales contract, the seller will keep the price at $200,000. In that way, the buyer will be able to borrow $180,000 with a 90 percent loan. At closing, the seller rebates $10,000 to the buyer. Aware that the lenders will probably treat the $10,000 rebate as a price concession, the deal participants agree not to tell the lender about the rebate. That’s fraud. Even more subtle schemes have evolved in attempts to make deceptions seem less like fraud. For example, a mortgage broker might charge the borrower $10,000 in points and fees (the charges are a disguise for fraud). The seller agrees to pay for those loan charges, and discloses this payment to the lender. Unbeknownst to the lender, the mortgage broker then rebates the $10,000 to the buyer outside of the closing. Again, this is fraud. Another example is that instead of the buyer bringing $20,000 in cash to the closing, the seller agrees to carry a second mortgage for $10,000. 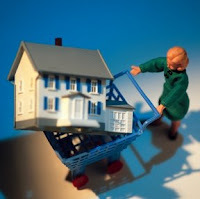 The seller discloses the second mortgage to the lender. However, the seller and buyer agree that the second mortgage will never be paid. Again, the buyer gets a loan based on an inflated price. Once more, it’s fraud. One of the truisms about mortgage fraud is that if the seller’s concession is shown on the HUD-1 settlement statement, there’s no fraud. But that’s true only if the description on the HUD-1 is accurate. Among the gimmicks used to create the illusion of disclosure is a debit from the seller’s proceeds suggesting a charitable contribution by the seller or the payment of a debt owed by the seller. If the deducted money is being used to satisfy real debt of the seller or make a real contribution, then it’s perfectly legal. But if the debit and payment to the third party are really a disguise to route money from the seller back to the buyer or other promoter of fraud, such as the mortgage broker, again, it’s fraud. Routing the payment through a so-called charitable organization doesn’t avoid the fraud because the stated contract price exaggerates the true price received by the seller. In the worst cases, the scammers steal the identity of a creditworthy borrower, transferring it to the person who shows up at closing. In other instances, the buyer is simply a dupe, who doesn’t understand that fraud is taking place. Being a dupe doesn’t protect you or anyone else in a transaction from liability. Make sure the true facts of a deal are reflected in the contract (with all its amendments) and on the HUD-1. Jon Goodman is a shareholder at Frascona, Joiner, Goodman and Greenstein P.C., in Boulder, Colo. This article is provided as general information. For advice in a specific case, consult your legal counsel. You can contact the author at jon@frascona.com. 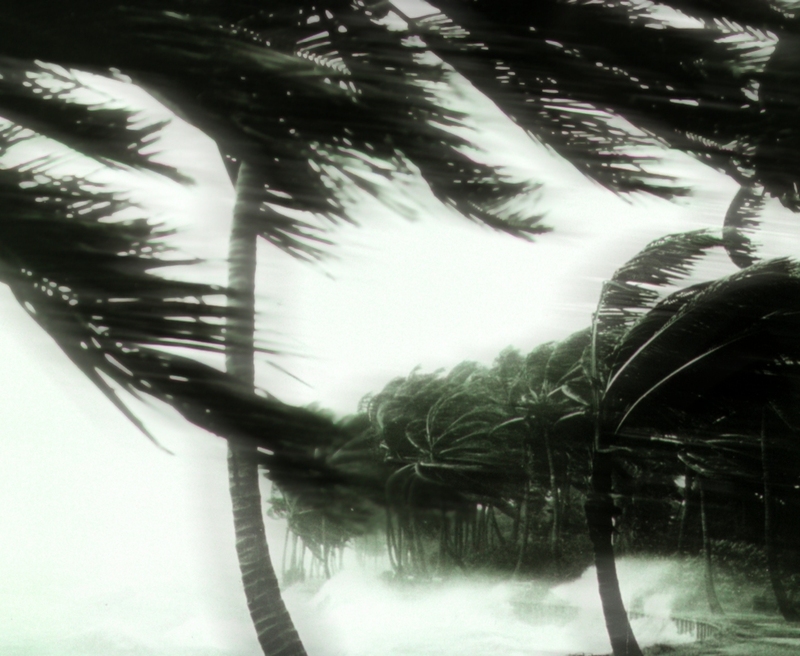 The state has added Monroe County to its My Safe Florida Home program, which provides free home hurricane inspections and financial assistance for eligible projects. The program initially did not have enough trained inspectors to include the Florida Keys, but now has a corps of 500 and has conducted 70 home inspections here since mid-November. "Inspectors rate the homes on their hurricane strength from a 0-to-100 scale on the outside and inside," said Jeff Takacs, spokesman for the project, operated through the office of state Chief Financial Officer Tom Gallagher. "Participants will receive data on how to improve the strength of their homes, cost estimates of those recommended improvements and what they could save on [wind] insurance." That information isn't available yet, as the data is being collected from the inspectors, Takacs said. Eventually, program officials will look for missing safety features that are found in different areas and throughout the state, he added. Matching grants for up to $5,000 also are available to help fortify homes at risk of damage. At the same time the state is adding counties — Collier, Charlotte, Manatee and Hillsborough on the west coast; Martin and Indian River on the east coast; and Walton and Santa Rosa in the Panhandle, in addition to Monroe — it is temporarily scaling back on inspections. "We're going to step back now, evaluate the program and make any changes necessary, then start the program back up and expand it to other areas," Takacs said. The $250 million program, launched with a test run between August and November, initially included only Miami-Dade, Broward, Palm Beach and Volusia counties on the east coast; Lee, Sarasota and Pinellas on the west coast; and Escambia in the Panhandle. More than 12,000 free inspections were conducted during the 12-week pilot program. Floridians eligible for a free home inspection must live in a single-family, site-built home with an insured value of $500,000 or less and have a valid homestead exemption. Documents verifying this information must be submitted with a completed application. Floridians can apply online at www.mysafefloridahome.com or by calling 800-342-2762 to get an application packet. The Southernmost City did not show any Southern hospitality to wind insurance officials Monday night during a state-mandated public hearing on customer service. About 50 Florida Keys residents came prepared to vent their frustration not only about Citizens Property Insurance Corp.'s customer service, but its rates. As Deputy Executive Director Susanne Murphy tried to read through the corporation's vision, mission, values and strategies, the audience cut her off. "I want you as consumers to see what we should become," she tried to continue. But the audience persisted, saying they wanted to speak. In a voice filled with sarcasm, she shot back: "I appreciate your hospitality and kindness." U.S. Rep. Ileana Ros-Lehtinen, R-Miami, was the first to blast the quasi-state insurer of last resort as arrogant in its dealings with Monroe County policyholders. Florida Insurance Commissioner Kevin McCarty agreed, saying that rather than complying with a legal mandate, Citizens hired attorneys using customers' premiums to fight the taxpayer-supported state insurance regulator. That theme continued when Key Colony Beach Mayor Clyde Burnett said the insurer's staff appears to be very intelligent. "But they seem to feel protected by existing statutes [under which the corporation operates] and come off as aloof," he said. "There's a way to put your arm around somebody and say, 'We're here to help you,' rather than being cold." Murphy apologized, trying to turn the meeting back to the intended subject. "We are dictated by statute but that is not an excuse for poor customer service," Murphy said. "If we come across as arrogant, I apologize for all of us. I could work in many other places, but I chose to work here." Heather Carruthers, one of the founding members of FIRM, the group that fought to get spiraling rates reduced in Monroe County, suggested that Citizens work for its policyholders by lobbying the state Legislature to undo some of the unintended consequences of an insurance overhaul bill passed this year. "Be an advocate for us," she said, adding that "when customers are paying an exorbitant rate, rates are a customer service issue." Murphy previously had shunned comments about rates, saying the meeting was to focus on customer service. There was no ignoring the emotional testimony of some residents. One man, retired and on a fixed income, said he had to choose between health insurance and wind insurance — and would be going without wind insurance next year. And today, Steve Russ said, his home is being demolished because his insurance settlement was $58,000 short of the repair costs from Hurricane Wilma. "In my mind, you pay for a product and customer service says you deliver a service," he said, fighting back tears. "But you nickel and dime customers and run them through the mill ... You have an obligation to deliver the service I paid for, but the house is gone tomorrow — too late for this sucker." Tim Volpe, an attorney hired to help FIRM, stressed how frustrated policyholders have become. "You can hear the anguish in people's voices," he said. He and others asked Citizens to provide billings that itemize customers' premiums, show the base rate, and explain whether they have credits that reduce their premiums. "People want you to move as soon as possible and not simply rely on deadlines" to complete the requirements spelled out in the 2006 statute, Volpe said. Those item include an audit of Monroe County policies to assure policyholders are getting what they pay for. "That's what people are talking about," he said. "From the perspective of people in the audience, they are upset about what they perceive to be arrogance. Get to it." Those who could not attend the meeting but would like to submit comments can do so by logging on to www.citizensforabettercitizen.com, or e-mail specific problems to joe.bouthillier@citizensfla.com. More listings. Fewer sales. Overall, this is the trend of the real estate market in the upper Florida Keys compared to where we were this time last year. The chart in this article compares the first three quarters of 2005 to the first three quarters of 2006. 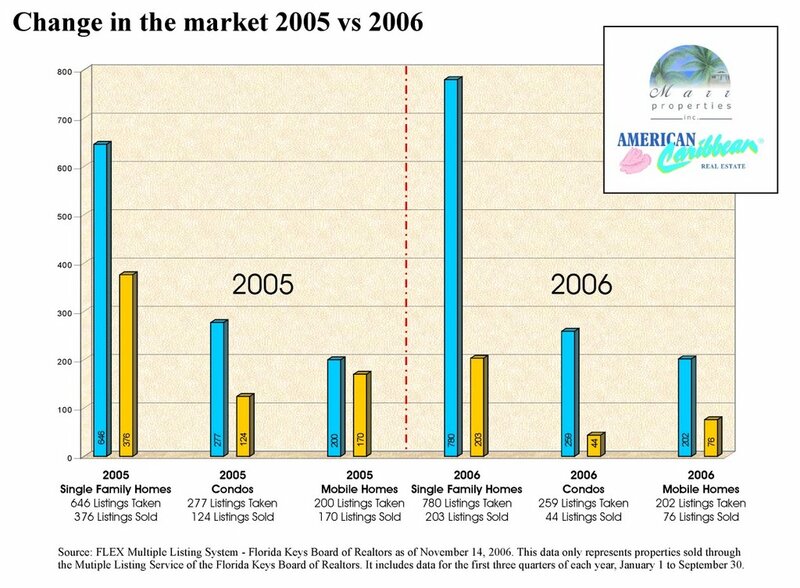 We have broken it down into single family homes, condos and mobile homes. Clicking on the image above will provide you with a larger version. If you would like a more detailed report of how your property compares, please contact any of our associates at either of our two office locations. By Jim Lupino, Esq. and Russell Yagel, Esq. In a sentence, the case is status quo. Not any different than 10 months ago and not any better. As you will recall, Federal Court Judge Michael Moore entered orders in 2005 which resulted in approximately 40,000 properties in Monroe County being restricted from National Flood Insurance coverage through FEMA. This resulted in Monroe County, as well as many companies and individuals, seeking to intervene in the case to have some say in how their properties were affected. The judge denied all such requests and appeals were taken. To date, no order has been entered by the appellate court addressing the various potential intervenors' appeals. Additional several entities joined together to file a petition for a Writ of Mandamus seeking the 11th Circuit Federal Court to throw out the flawed FEMA list altogether, but the court denied this petition. The U.S. 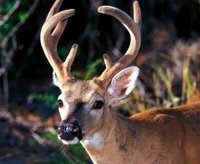 Fish and Wildlife Service (FWS) has recently filed an amended biological opinion with Reasonable Prudent Alternatives. As noted below, the new list of parcels was to be filed by October 6, 2006. In summary, the new RPA's put "teeth" into the process of reviewing building permits for properties contained on the new habitat list by requiring local communities to establish and enforce the processes set forth in the RPA's or run the risk of losing eligibility for participation in the National Flood Insurance Program. If communities participating in the National Flood Insurance Program fail to comply with the procedures, FEMA will place them on probation and may ultimately deny them further participation in the program. The RPA's provide, in part, FEMA will require participating communities to establish written procedures for referring floodplain development/building permit applicants to the Service for review and basically be responsible for ensuring the permit applicant complies with any requirements the services impose on the applicant. Further, FEMA will meet with participating communities every six months and evaluate the administrative records of the participating communities to ensure compliance with the required procedures. Again, failure to comply with the RPA's will constitute a substantive program deficiency which could result in the community being placed on probation, being suspended from the program or indefinitely being denied future participation in the program. These guidelines are currently under review by the Plaintiffs in the 15-year old lawsuit to determine if they are acceptable to them for future use. If they are and the judge agrees, there may be a resolution of many issues affecting the properties. If the guidelines are unacceptable, status quo will remain and the only current way to get an individual property off of the list is by inspection. If denied through the inspection process, an individual property owner may have only two choices: to wait to see if further guidelines or ultimate court decisions are favorable or, take an individual lawsuit against the appropriate parties, which may or may not be accepted by the Court. As noted above, FWS had only until October 6, 2006, to file an amended suitable habitat list of properties. FWS and FEMA have until November 10, 2006, to file their respective administrative records; i.e., positions pertaining to the new biological opinion and amended suitable habitat list. The Environmentalists (Plaintiffs) and the Government (Defendants) will file a proposed briefing schedule or a joint motion for a consent final judgment on or before November 20, 2006.